Nutrition Fact: Spicing up your Foods with Tumeric is Good for your Health! I just finished reading Dr. Raj Patel’s book “The Healthy Indian Diet” which talks about the health benefits of the traditional Indian diet and explains what things have changed in the last few decades that have caused the sub-continent to experience such high rates of chronic diseases like obesity, diabetes and heart disease. If you don’t know much about chronic diseases or are interested in understanding how the Indian diet has shifted to more Western habits, it’s a great read. My favorite part of the book are the recipes included in the back so I encourage you to check it out! 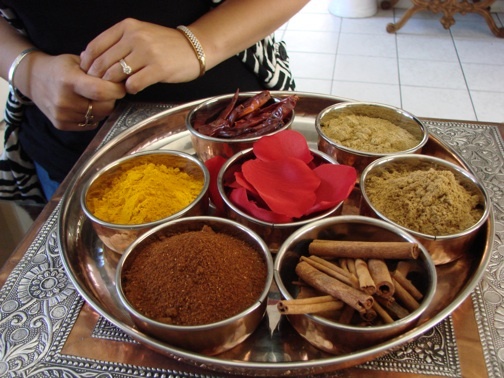 One of the things I found most interesting about the book was the section about the health benefits of the spices used in south Asian cooking. While some of the health benefits of spices have little scientific research supporting their health claims to date, turmeric is one spice that actually has some science to back it up and is actually a staple in any south Asian dish so I thought I’d share why it’s good for you. 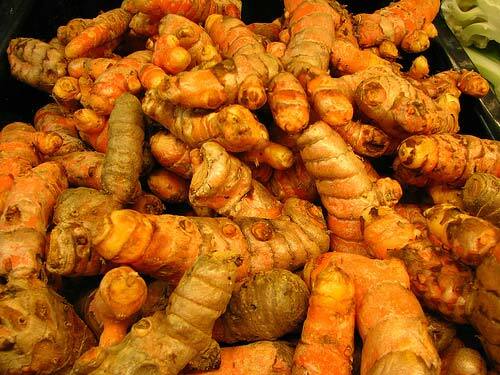 The Tumeric spice comes from a plant of the giner family which is native to South Asia. This uniquely South Asian spice is used in cooking for its deep yellow-orange color and medicinal qualities. In Hindi Tumeric is called haldi and in Bengali we call it halud. The active ingredient in turmeric is called curcumin and has an earthy, slightly bitter, peppery flavor with a mustardy smell. 1. May help prevent cancer. Initial animal studies done at UCLA have shown that curcumin seems to suppress the action of NF-kappa B which promotes cancer cells to live forever and grow and thus reduced tumor size in mice. 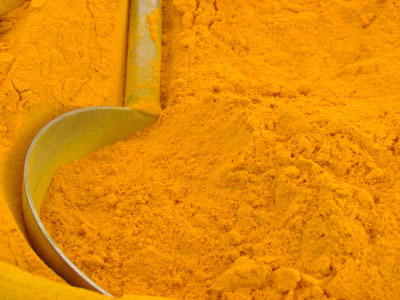 Additionally, studies from the Anderson Cancer Center has found that purified curcumin may be helpful in treating certain cancer patients if given concurrently with chemotherapy and radiotherapy because of it’s anti-inflammatory abilities and lack of side effects. The research is still very limited showing it can help prevent cancer but it definitely has anti-inflammatory qualities that are always good for you! 2. May help prevent Alzheimer’s Disease. The evidence supporting this health benefit is extremely weak right now. Most of it is based on observational studies looking at the low Alzheimer’s rates in India compared to other parts of the world. However, scientists are beginning o see Alzheimer’s disease as an inflammatory disease and since regular use of NSAID’s like aspirin are shown to be associated with lower Alzheimer’s rates, curcumin may also help lower Alzheimer’s by reducing inflammation in a similar way, particularly the oxidation of beta-amyloid, a protein intimately linked to Alzheimer’s disease. Again, the scientific evidence here is still very limited but again the anti-inflammatory characteristics are clear and coupled with observational studies of lower rates in India, may mean that it could help in the prevention of Alzheimer’s. 3. May improve cholesterol levels. A small study in 10 healthy adults using 500 mg of curcumin found that HDL-cholesterol (good cholesterol) increased by 30% and total cholesterol decreased by 10%. While larger studies and further research is very much needed, this study is a promising one showing that turmeric consumption might help improve cholesterol levels in humans. 4. Helps prevent or reduce inflammation. The evidence looking at the anti-inflammatory characteristics of curcumin are pretty strong which is why more research is needed to determine whether those qualities and in what amount in fact help reduce cancer risk and even heart disease which is caused by inflammation in humans. Black pepper improves absorption of curcumin so make sure to use black pepper when you use turmeric. Add it to sautéed veggies. ½ teaspoon complemented with some cumin and black pepper would work. Add a teaspoon when cooking quinoa or rice for some added color and flavor. Toss with roasted cauliflower or sweet potatoes.